Always look for customer's loot, you can get tokens that are needed for jackpot round. You will get a maximum of 3 tokens for 1 jackpot round. You need atleast two pairs of dorayaki to get dorayaki jack bonus. For bells, you need to have triple bells to get the bonus. Take Note: Vip Day will increase your Jackpot Round Bonuses for dorayaki and bells. Finish certain requirements to get dorayaki and bells. Always login daily to get your daily rewards such as dorayaki and bells. 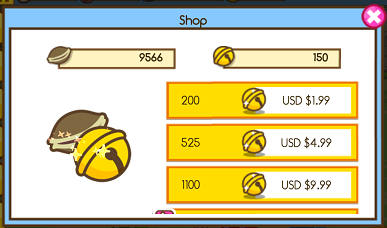 Upgrade your shop to increase it's service charge to your customer and shortening the serving time to get more customer thus increasing your dorayaki earn. Customers will always drop loots such as tokens and bells.